Team Photos - Huddle Up, Hutch! I was able to locate HHS football team photos for almost every year. 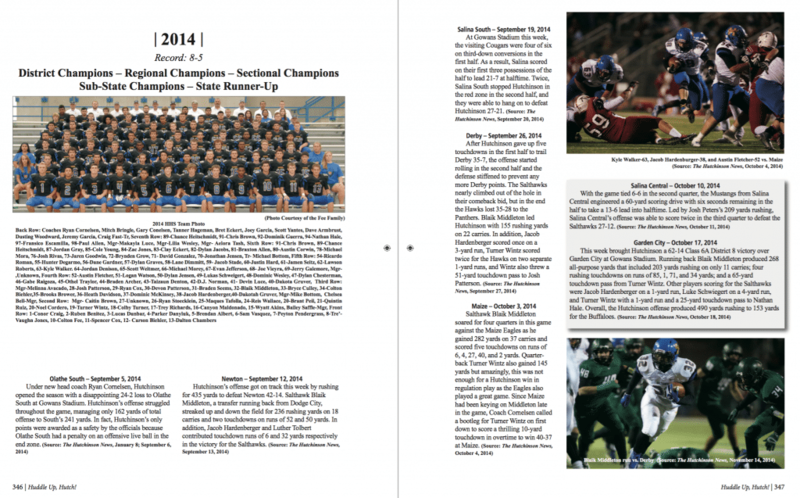 This means that most players in the 115-year history of Salthawk football will find themselves in the book! Here is an example of two facing pages.